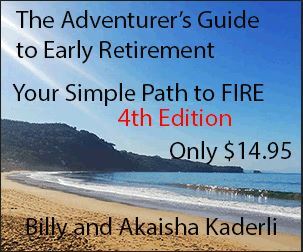 Retire Early Lifestyle interviewed Jim and Kathy McLeod a few years back when they first retired. We caught up with this happy couple and asked if we could do an update on their lives as early retirees. Read this fun and informative interview below! RetireEarlyLifestyle: How long have you been retired now? Was Early Retirement everything you thought it would be? Kathy and Jim McLeod: We've been retired now for 4.5 years. Early Retirement has exceeded our expectations. 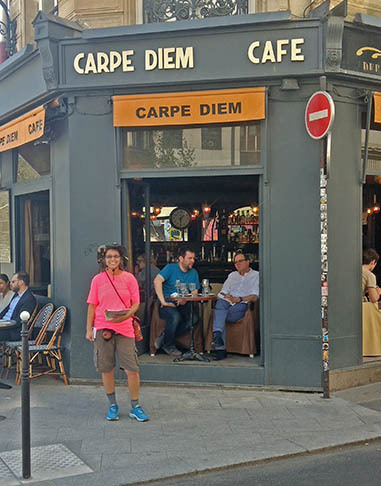 We never imagined we would have been able to do something such as El Camino in Spain, and yet we just finished El Camino Frances earlier this year. REL: Both of you seem very physically active. Where have you traveled in this new lifestyle? Does any thing or any place stand out for you? K&JM: Yes, as we said, we just recently hiked El Camino in Spain. 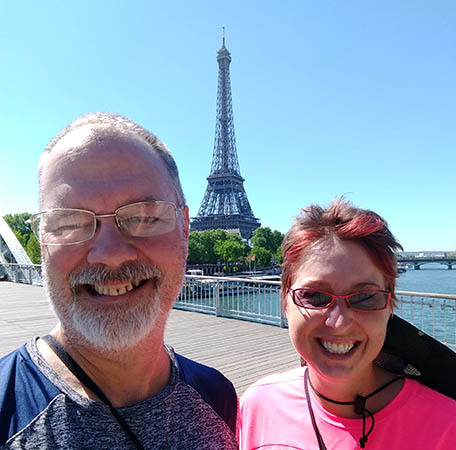 We visited London and Paris before our hike. Last year we did a trip similar to Billy and Akaisha's 105 Day Adventure to Guatemala, Belize and Cancun. And prior to that we traveled to Greece. And with our home base in Mexico, we have been to Manzanillo, Los Ayala, Mazamitla, Guanajuato, Deloris Hildago, San Miguel de Allende, Guachimontanes, and Morelia. 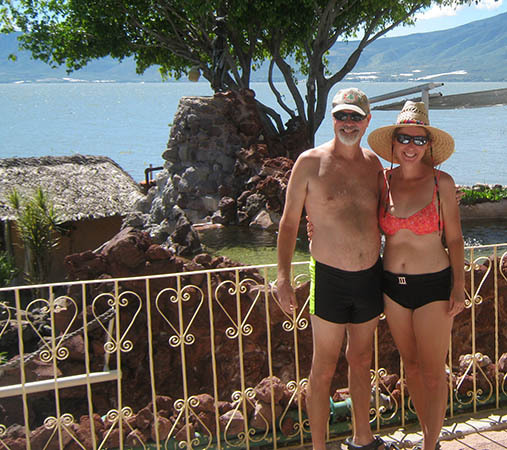 We also followed in Billy and Akaisha's footsteps and did their Eight Day Adventure around Lake Chapala. 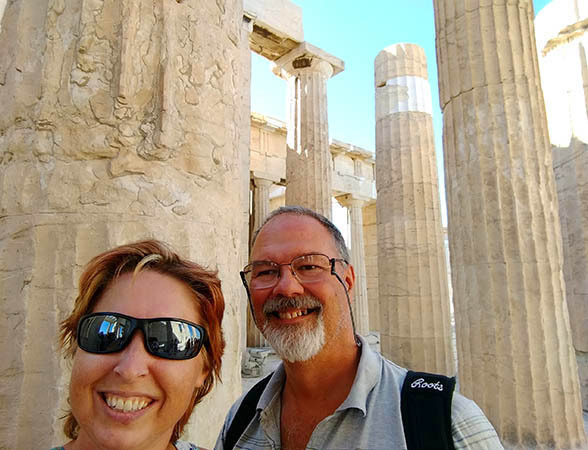 We really enjoyed our trips to Europe, especially Greece and Spain where there is just so much history and beauty. And of course we love Mexico with so many great places to visit and explore, beautiful beaches, wonderful people and great food. REL: In your previous interview you mentioned you budget 16,000 Canadian Dollars per year, plus travel expenses. Are you sticking with those numbers or have they changed? K&JM: After moving recently, we've actually lowered our budget by 1,500 CD per year. REL: How do you manage your finances while on the road? Have you changed your portfolio in any significant way since you retired? K&JM: All of our finances are managed over the internet, so as long as we can get access where we are, we can keep on top of it. As mentioned in our previous interview, because we take a conservative approach, we only invest a small portion of our savings in value stocks. This left the remainder of our portfolio under-utilized, which prompted us to look into "safe" options for investing that money. After some research we discovered we could invest it in 5 year laddered GICs which, at this time, pays out enough to cover our yearly budget. REL: Now that you have finally reached Financial Independence, what do you find yourself spending the most time doing? 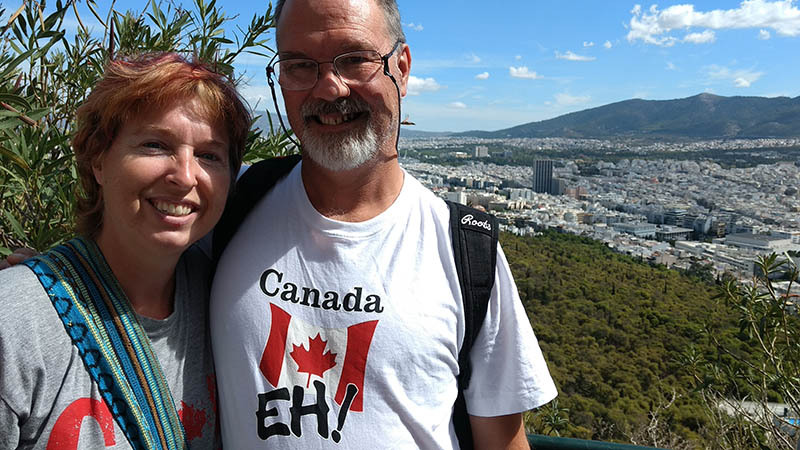 K&JM: So far, we spend around 1/3 of our time traveling, and the rest of the time exploring areas closer to home walking, hiking or hopping on local buses to check out local sites. REL: Knowing what you know now, if you had it to do over would you have quit your job when you did? Or would you have retired earlier? K&JM: I'm sure we would have liked to have retired earlier, but I think everything lined up at the right time for us to retire when we did. REL: How has your Seguro Popular Mexican Health Insurance been working out for you? K&JM: Fortunately, so far we haven't needed it. 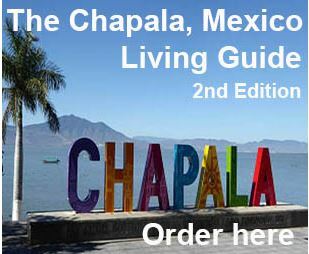 REL: Do you find the cost of living in Mexico to be affordable? K&JM: Definitely. We were back in Canada earlier this year for 2 weeks and couldn't believe how expensive it was. We spent 1/3 of our travel budget, even though we stayed with family, so fortunately, we didn't have to worry about accommodation or transportation (which, where we were, is much more difficult to be car free). What we spent on that trip would have lasted us 4-6 weeks traveling in Mexico, which would include accommodations and transportation. 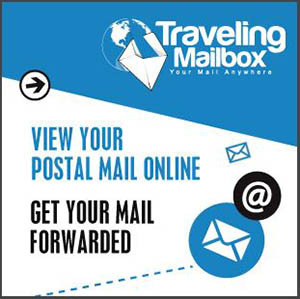 REL: Do you have any tips for our readers about living in Mexico? K&JM: Do your research with books, videos and sites such as the REL Mexico section. Make sure if you do come, that you have an open mind; check your expectations at the border. Mexico is not just vacation resorts at the beach but, if you plan on living here, it is real life, with the same real life issues you had to deal with back home, but possibly quite different from how you're used to dealing with them. And probably a lot of issues you're not used to dealing with: different language, different power, water, sewage, traffic and internet infrastructures and the nuances of each of those differences. If you still decide you might want to live here, come stay for a few months, and try out different areas you liked during your research phase. Then if you're sure you still want to live here, make the plunge. If It doesn't work out, you can always go back. K&JM: No we don't. So far, the majority of places we've been have had amazing public transportation systems that have been able to get us almost everywhere we've wanted to go for a fraction of what it would cost us to own a vehicle. 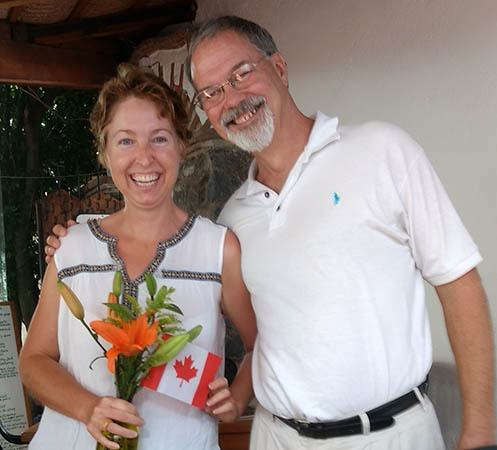 K&JM: Yes, we have a home base in Mexico, but at this point we just rent. REL: What is your most treasured possession? K&JM: Our health. 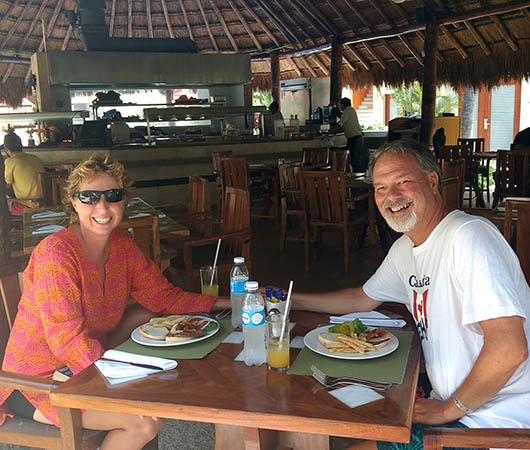 One of the biggest reasons for retiring early for us was health issues and the benefits of our current lifestyle and weather here in Mexico. Both of us have improved significantly since we retired. 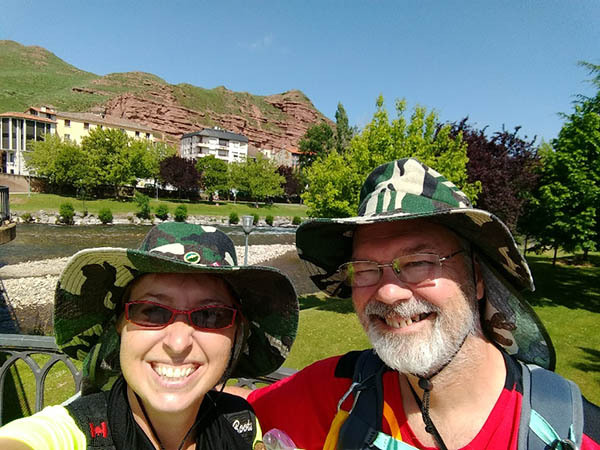 One of the reasons we hiked El Camino this year was that we weren't sure how much longer we would be able to tackle an adventure as physically demanding as El Camino Frances. If we had waited until the conventional age to retire, we're sure we wouldn't have been able to enjoy a quarter of the adventures that we have since we retired early. REL: What’s the worst thing you deal with in your chosen lifestyle? Your biggest challenge? K&JM: Going back to Canada to visit family and friends. Fortunately, a number of them have been able to come visit us. K&JM: Adventure and leisure travel. The ability to hop on a bus, or a plane, whenever we want and just go. REL: If you could give any advice to younger you, just starting out this journey, what would it be? K&JM: Start saving earlier. As the saying goes, youth is wasted on the young. We're on, or in some cases, over the cusp for some of the adventures on our bucket list now. But never fear, we still have a lot of adventures that we can and will still do. REL: What's the strangest thing you've ever seen? K&JM: In Chichicastenango, Guatemala, a man loading a live pig on the top of a van/bus with all of the other luggage. REL: Is there a happiness mantra or motto that you find very helpful? K&JM: A quote by Tony Robbins, "Live with Passion!" 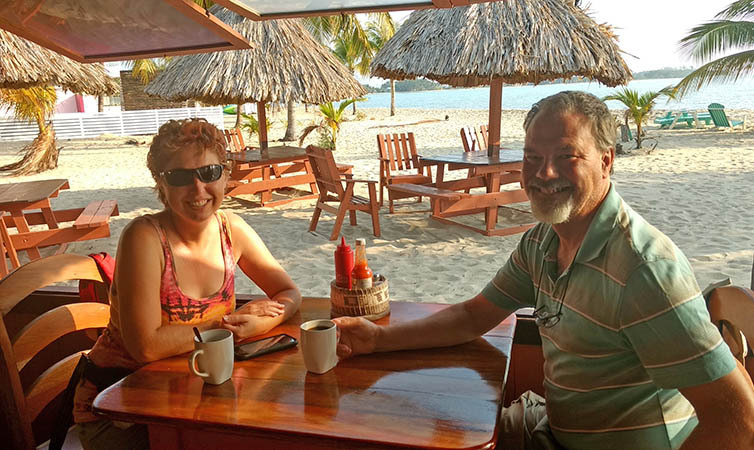 We at Retire Early Lifestyle would like to thank Jim and Kathy for taking the time to answer all of our questions, and for their willingness to share their lives with our Readers. Thanks to both of you!